Mieke Bal has had a significant impact on every field she has touched, from Old Testament scholarship and narratology to critical methods and visual culture. This brilliant and controversial intellectual invariably performs a high-wire act at the point where critical issues and methods intersect—or collide. She is deeply interested in the problems of cultural analysis across a range of disciplines. A Mieke Bal Reader brings together for the first time a representative collection of her work that distills her broad interests and areas of expertise. This Reader is organized into four parts, reflecting the fields that Bal has most profoundly influenced: literary study, interdisciplinary methodology, visual analysis, and postmodern theology. The essays include some of Bal’s most characteristic and provocative work, capturing her at the top of her form. “Narration and Focalization,” for example, provides the groundwork for Bal’s ideas on narrative, while “Reading Art?” clearly outlines her concept of reading images. “Religious Canon and Literary Identity” reenvisions Bal’s own work at the intersection of theology and cultural analysis, while “Enfolding Feminism” argues for a new feminist rallying cry that is not a position but a metaphor. More than a dozen other essays round out the four sections, each of which is interdisciplinary in its own right: the section devoted to literature, for instance, ranges widely over psychoanalysis, theology, photography, and even autobiography. 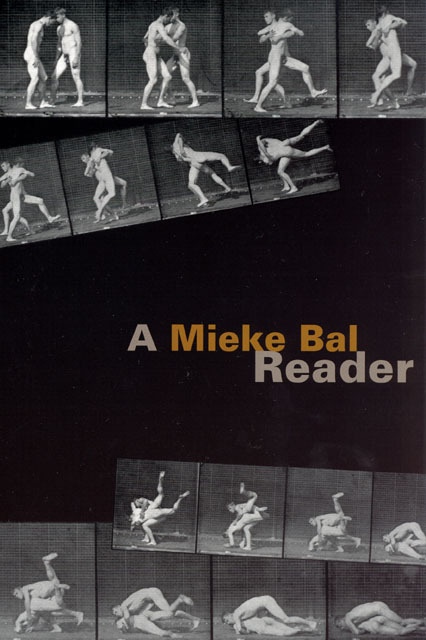 A Mieke Bal Reader is the product of a capacious intellect and a sustained commitment to critical thinking. It will prove to be instructive, maddening, and groundbreaking—in short, all the hallmarks of intellectual inquiry at its best. The Concept of "Metaphor" and the Metaphor "Concept"
"[A] monumental colledtion. . . . This Reader is a form of ’life writing,’ the text writing the life of a thinker, philosopher and academic who acts as our guide and who occasionally lightens up her theorizing with humour, playfulness and personal anecdote."